I wrote about the “kabit” system last February. I mentioned that the EMBC bus I saw was actually operated by another company (RRCG) that seems to have also engaged another company (Jasper Jean) to provide bus units operating the EMBC routes. 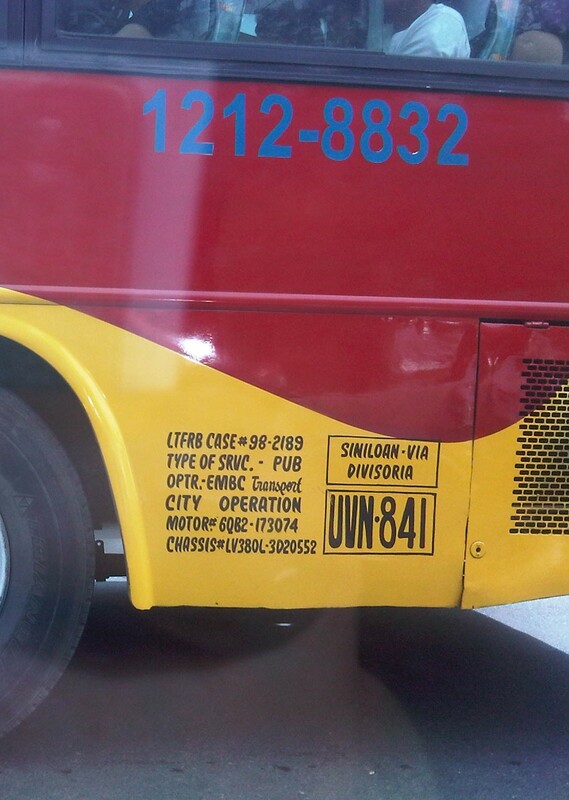 Unfortunately, I was not able to get a photo showing information on the original operator of this bus company and its lines to Rizal and Laguna via the eastern route through Antipolo. I was finally able to get a photo of an EMBC bus bearing information on the original operator/company for comparison with the information on the bus in the previous post. It clearly states here that EMBC is the operator of this bus. 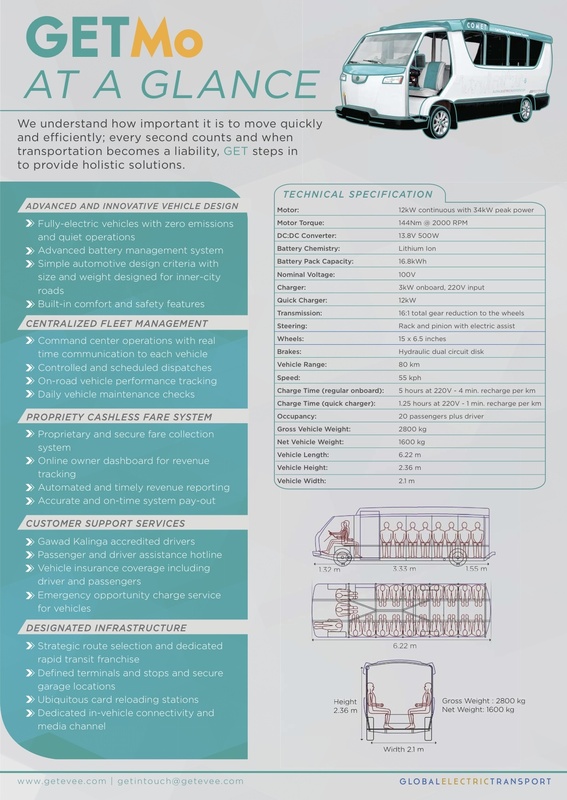 The National Center for Transportation Studies (NCTS) of the University of the Philippines Diliman (UPD) is part of the Phase II of a research comparing the performances of customized local road vehicles (CLRV) for use in public transport. This project is being conducted together with the Vehicle Research and Testing Laboratory (VRTL) of UPD’s Department of Mechanical Engineering (DME), Electrical and Electronics Engineering Institute (EEEI) and the National Engineering Center (NEC) with funding from the Department of Energy (DOE). Phase II considers a longer route for the comparison of vehicles. In the previous Phase I, the route was UP Diliman-North EDSA while in this phase, the route will be Lagro-Cubao, which is significantly longer in distance compared to the previous study route. 1. The door is already located on the side of the vehicle instead of at the back. 2. The motor is rated at 30kW, a significant upgrade from the 15- and 20kW motors in previous e-jeepneys. 3. 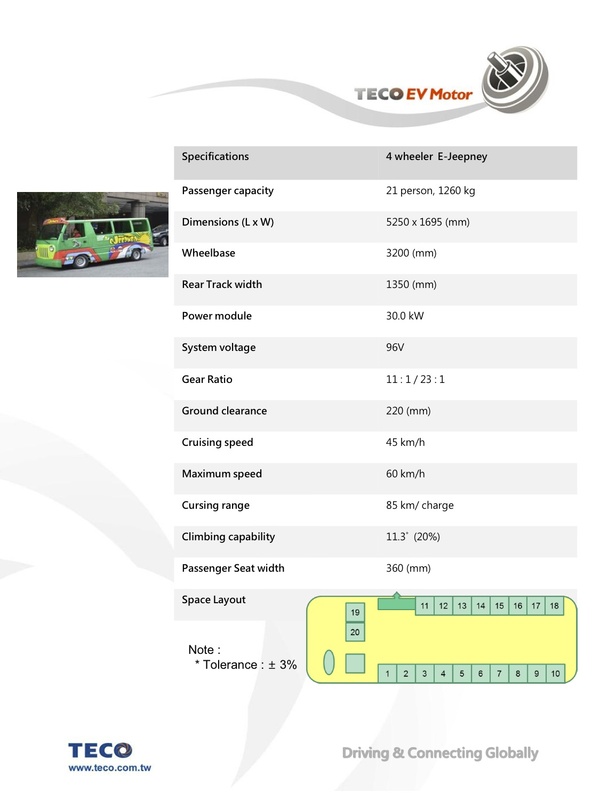 The seating capacity is for 20 passengers (excluding the driver) by about 2 to 4 people from previous e-jeepney models. These are the most obvious changes in the BEEP and would be factors that could affect its performance and acceptability. Most jeepneys these days are “siyaman” meaning they seat 9 passengers on each of the bench seats plus 2 on the front seat for a total of 20 passengers. Also, jeepneys should be able to negotiate steeper slopes that have been among the problems for e-jeepneys. Not mentioned are the specs of the batteries and the charging time although the range claimed for a full charge is 85 km. This study will hopefully validate these claims and show us if the BEEP will be up to the challenge of replacing the conventional jeepneys on long routes. In the news weeks ago is the coding scheme for vehicles that Ayala Alabang, a posh residential subdivision in Muntinlupa City, imposed on vehicles coming in and out of the village. According to media reports, affected are vehicles bound for and coming out of De La Salle Zobel (DLSZ), which is an exclusive school located inside the subdivision. There is another exclusive school inside the village but they don’t seem to be in the news regarding this issue on car stickers and access through the subdivision roads. Perhaps they generate a lot less cars from outside the village? I lived in villages where there are exclusive schools also located inside the villages. They are smaller compared to DLSZ and likely generate significantly less vehicles than the latter. Also, the numbers of vehicles they generated from outside the subdivisions are not enough to cause traffic congestion along the main roads to and from the schools and the village gates. For the school in the former subdivision we used to reside in, I noticed that most students arrived via school service. School service vehicles carry more passengers than private cars and so help reduce the number of vehicles generated by the school. These were mostly vans or AUVs and not the mini-buses, coasters or regular buses of when I was in grade school and high school myself. Though lower in capacity compared to buses, AUVs and vans could take in 10 to 12 students comfortably and perhaps max out at 14 to 16 people depending on the sizes of the children the ferry between school and their homes. In the current subdivision where I live, most students go by car and the wider main road that they use translated to faster cars running between the village gate and the school. I have observed many instances when speeding vehicles do not slow down at intersections or when there are people about to cross the street. There are no humps along the main road like those in the previous village. Humps or speed bumps can be very effective in reducing speeds but improperly designed humps can eventually damage your car’s suspension. The rolling terrain of our village does not seem to be a deterrent against speeding and limited sight distances along the main road presents a significant likelihood that a crash can occur involving speeding vehicles. Thus, some traffic calming measures need to be formulated and implemented before tragedy strikes. Now that school is almost out for most schools (including the ones inside subdivisions) I think the attention the issue has been getting will steadily die down. But that will be until schools open again in June and residents again feel the impacts of traffic generated by the schools from without the subdivision whether its traffic congestion or road safety that is the more pressing issue in residential subdivisions hosting schools. Perhaps a sticker system and the restriction of the number of vehicles of outsiders is one way to reduce the negative impacts of traffic generated and then there is also the option of not allowing a major school to be located inside a residential subdivision in the first place. It’s a Friday and another weekend is here. It’s also payday weekend and so it’s expected that restaurants, cafes and bars will be full tonight and the weekends with people dining, lunching, having coffee, and likely for many – drinking. For many years, the latter has resulted in too many road crashes, a significant number of which have had fatal outcomes – usually cars or motorcycles crashing into one another or by themselves. It’s even more dangerous (and highly likely to be fatal) for motorcycle riders who need to balance themselves on two wheels after getting inebriated. Meanwhile, a lot of driving under the influence (DUI) that in many other countries including the US and Japan don’t get apprehended primarily due to the absence of laws and guidelines for their capture and evaluation. There was no way to test their blood alcohol content (BAC) in the field and traffic personnel couldn’t force people to go to hospitals to be tested. There’s good new, however, especially for road safety advocates. The Philippines is finally implementing Republic Act No. 10586 – An Act Penalizing Persons Driving Under the Influence of Alcohol, Dangerous Drugs, and Similar Substances, and for other Purposes, which was signed into law in May 27, 2013. Under the law, private vehicle drivers can be arrested and penalized for BAC of more than 0.05% while truck and public transport drivers and motorcycle riders can be apprehended for a BAC of more than 0.0%. For comparison, Japan requires a BAC of 0.0% for ALL motorists. The Implementing Rules and Regulations for the law may be found here: PH Anti Drunk Driving Law2013 Rules. The Land Transportation Office (LTO) and the Metro Manila Development Authority (MMDA) have already acquired equipment to help them evaluate apprehended persons. These include breath analyzers and staffs of both agencies have already undergone training to be able to implement the law. Unfortunately, traffic enforcers cannot randomly test people on the road but would have to apprehend them first for violating other traffic rules and regulations. 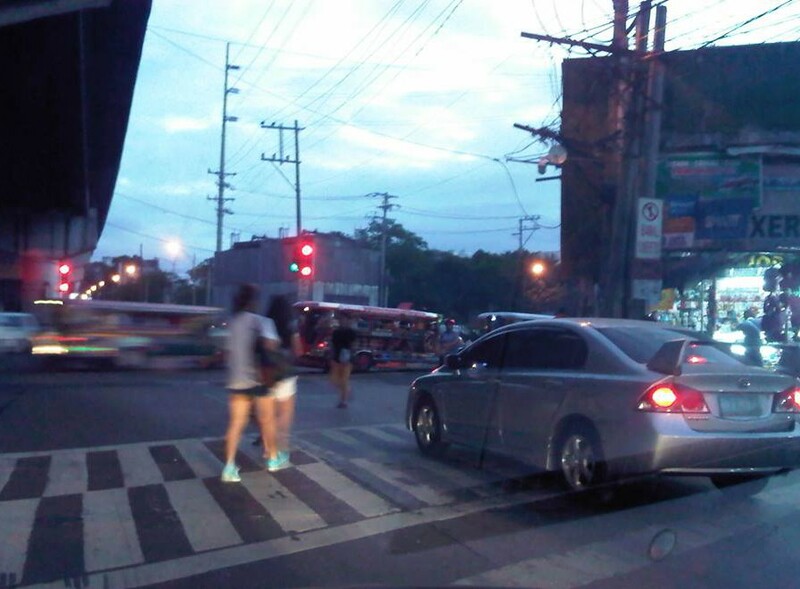 But I am sure our traffic law enforcers can be quite creative in how to catch these people who pose dangers to all other road users by their being irresponsible for driving or riding under the influence of alcohol or dangerous drugs. And with the national elections coming up next year, there will be a lot of checkpoints sprouting up along major roads that will also open opportunities for testing and apprehensions.